The Luxembourg Government, the public-law banking institution “Société Nationale de Crédit et d’Investissement” (SNCI) and U.S.-based aerospace technology company Planetary Resources have signed a Memorandum of Understanding (MoU) providing the framework for their cooperation within Luxembourg’s SpaceResources.lu initiative which aims at the exploration and commercial utilization of resources from Near Earth Objects (NEOs), such as asteroids. 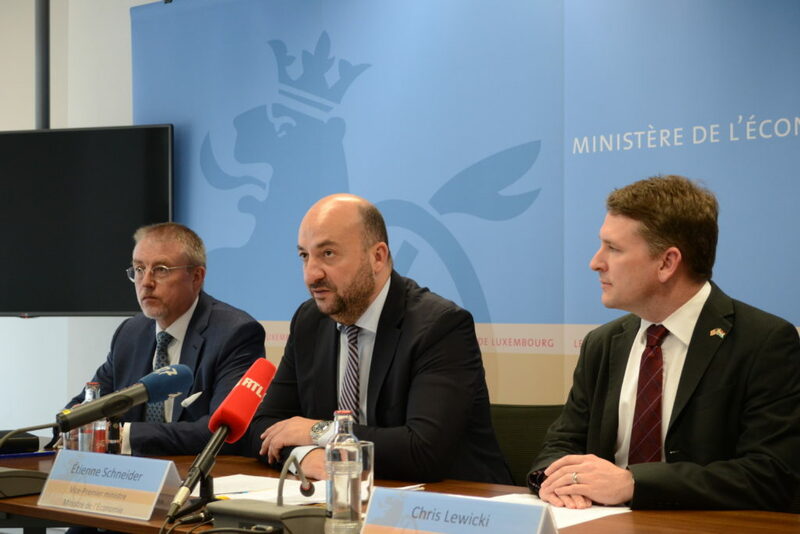 Within this partnership, the Government is considering a direct capital investment in the European headquarters established recently by Planetary Resources in the Grand Duchy. This public equity position will be taken by the SNCI to become a minority shareholder. For its part, Planetary Resources is contributing to the promotion of the local space industry by developing several key activities exclusively in Luxembourg focused on space hardware development, space services, applied research and scientific discovery. The Government will support these activities by providing funding through R&D grants or other different types of aid available. The MoU paves the way to building up in Luxembourg research activities and technological capabilities in the fields of propulsion development, spacecraft launch integration, deep space communications, asteroid science systems, Earth observation product development, and mission operations.